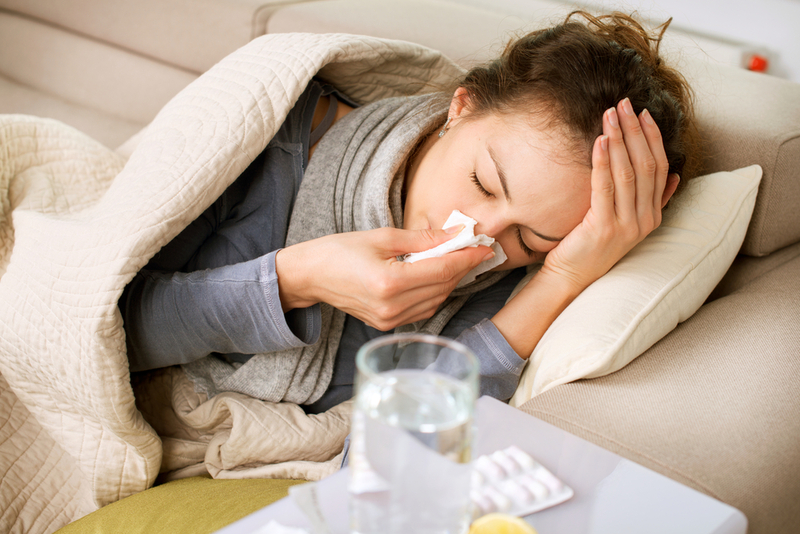 It is important to understand that the common cold, like the flu is a virus. This virus is around us all of the time and when our immune system is functioning at its full capability we are easily able to fight off viruses. It is when our system of defense is compromised that the virus begins to build in our system and we are no longer able to fight it. This is when we begin to experience the symptoms of a common cold. The body is extremely intelligent and has the innate ability to heal itself, when it is FUNCTIONING at its optimum. Often our bodies are not functioning optimally and this compromises our immune system as well as our innate ability to heal. When our immune systems are compromised we are left vulnerable to illness. Alternately when we receive regular adjustments we give our bodies the ability at their greatest potential and be fully equipped to fight off illness. Our immune system is our primary defense against illnesses and the key to treating colds is to enhance the immune response to produce white blood cells that fight off the infection. White blood cells, known as T-lymphocytes, are part of the body’s immune system. Adjusting the thoracic spine (upper and middle back) improves our immune function. Our immune system is our primary defense against illnesses. Receiving chiropractic adjustments is also an excellent way to help prevent colds and maintain optimal immune function. Research highlighted in the 1989; 12(4) issue of the Journal of Physiological and Manipulative Therapeutics demonstrates that the immune system is in directly controlled by the nervous system. It was reported that white blood cells have neurological receptor sites on their surface for chemicals produced by the nervous system. The chemicals either stimulate or inhibit the productivity of the white blood cells. White blood cells also produce chemicals that suggest that cells also communicate with the nervous system. The study concluded that spinal misalignments and subluxation can negatively impact the body’s immune response by interfering with the communication between the nervous system and the immune system. your white blood cells, immune system and nervous system. adjustment and aligning your spine through chiropractic adjustments you are ensuring that your nervous system sends uninterrupted, full strength signals throughout your body. adjustments for the optimal functioning of the nervous system which results in a healthier immune system and life. By receiving regular adjustments this winter you would be increasing your innate immunity and vitality as well as assisting your body in maintaining its optimal state of health. When the nervous system is optimally functioning, free of interference and subluxations, we are better able to fight off infections and maintain our health, even during cold season. Even after our bodies have been exposed to a virus or are fighting off a virus, chiropractic adjustments can aid our immune system by increasing it’ s function and assist our bodies in healing faster. Stay healthy this winter by receiving regular chiropractic adjustments. Call us today to make an appointment at 905-845-2291.